Seasons are changing, yes even in tropical Singapore. More cooling and rainy days, I simply love it! A good break from the hot and humid weather we typically get in the earlier months, leaving us all balmy and frustrated. 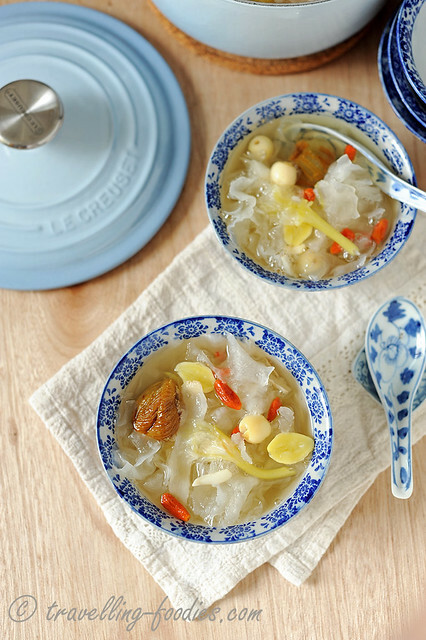 I like to cook some hot “tong sui” during this time of the year too, a bowl of warm sweet broth packed with nourishing ingredients to prep us for the months to come. My small pot of “keng huay” is in bloom again, perfect timing to use those flowers to curb the cough and ease the sore throat that accompanied the flu bug for the last week or so!